Ray Smith is one of those relatively rare individuals who is an excellent performer and an excellent teacher at the same time. Currently, he teaches at Brigham Young University in Provo, Utah as the Director of Jazz Studies and Professor of Saxophone. His jazz big band, Synthesis, has received national and international recognition by winning many jazz festival competitions such as the Pacific Coast Collegiate Jazz Festival, the Lionel Hampton Jazz Festival, and those sponsored by the International Association for Jazz Education; performing in some of the great international jazz festivals such as The Montreux Jazz Festival in Switzerland, the North Sea Jazz Festival in Holland, and the Antibes Jazz Festival in the French Riviera, The Riga Jazz Festival in Latvia, The Pori Jazz Festival in Finland, The Kongsberg Jazz Festival in Norway, and The Umbria Jazz Festival in Perugia, Italy, the Edinburgh Jazz Festival in Scotland, the Copenhagen Jazz Festival in Denmark, the Wigan and Birmingham Jazz Festivals in England, the San Sebastian Jazz Festival in Spain, the Loule Jazz Festival in Portugal, to name a few; and has toured Japan and China, not to mention blazing new trails into Siberia in 1998. In 2013, Synthesis was named the Top University Jazz Big Band in the Country by the Downbeat Magazine Student Music Awards, and the band performed at the Jazz Education Network Conference in Dallas. Ray has also performed at the World Saxophone Congresses in Bangkok, Thailand and St. Andrews, Scotland, and has done a residency at the University of Manila in the Philippines. His students in both BYU’s Big Band and the Caleb Chapman Crescent Super Band perform on JodyJazz mouthpieces. As a performer, Smith is equally at home in either classical or jazz-related styles and is adept at all five of the woodwind instruments: flute, oboe, clarinet, bassoon, and saxophone. He also performs and records on the Yamaha WX7 Midi Electronic Wind Instrument and the AKAI E.W.I. and often plays recorders, pennywhistles, and other ethnic flutes in the recording studio. He has over 200 CD credits and has recorded on many film scores and television themes and jingles such as The Sandlot, Mi Familia, The Swan Princess, Good Morning America, The Today Show, The Ricky Lake Show, Buick, Chevy, etc., and many Canadian and German television and radio themes. 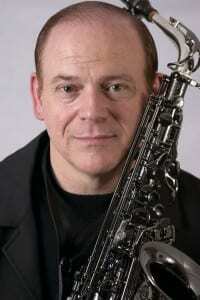 Dr. Smith performs periodically with the Utah Symphony and The Mormon Tabernacle Choir and is a regular with the Utah Saxophone Quartet and Q’d Up, a jazz quintet, as well as the jazz saxophone quartet, FOUR. Smith also does clinics and performances at colleges and high schools and adjudicates at jazz festivals. In the summers, he teaches at various jazz workshops including the Birch Creek Jazz Camp in Wisconsin where he received the Woody Herman Award for musical excellence and professionalism. In 1998, he was given the Voice of Jazz Award for the State of Utah; and in 2008, he was recognized by the International Association for Jazz Education as the first Utah Jazz Master, a lifetime achievement award “for profound contributions and virtuoso performance in the field of jazz in Utah.” He has also served on both the Utah Arts Council and the Orem Arts Council. Ray Smith is JodyJazz Mouthpiece Artist, a Rico Reed Artist, and a Cannonball Saxophone Artist. Education: D.M., Woodwinds Performance, Indiana University, 1982. M.M., Woodwinds Performance, Indiana University, 1976. B.M., Music Education, Brigham Young University, 1975.